Search Engine Optimization SEO is not as expensive as you think. Our initial consultations are always free and we can teach you what it takes to be on the first page. Best of all we have dedicated experts based in Perth who you can talk to in person. 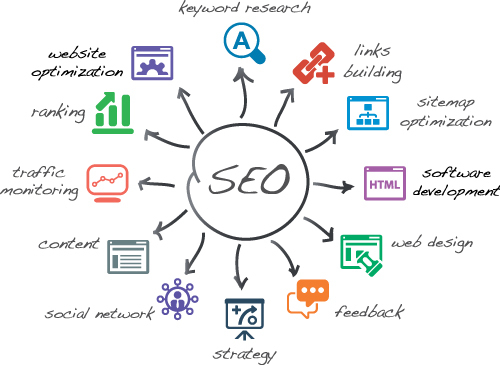 Perth SEO | Search Engine Optimization is a process of improving a websites search ranking on major and minor search engines such as Google, Bing, and Yahoo. In most instances, the better a site ranks for a given keyword or set of keywords, the more customer and web traffic that site will receive. In 2011, 78% of all purchases made in the US started with online search. At Refined IT we work to improve your search ranking and keyword performance, this takes time, discipline, and solid experience of the online market to be successful. There are unfortunately no shortcuts and quality work and quality website content will always win out over band aid SEO patches produced by many other IT SEO firms across Australia. We combine our SEO expertise with your website and keyword selection to ensure that you receive the maximum amount of targeted traffic and dominate the online presence in your particular industry. We follow google webmaster guidelines ensuring that when our clients rank, they do so over the long term, not just a couple of weeks or months! We help you to find the best keywords that will drive traffic to your website and move you up in major search engine rankings. We submit your business to multiple major business directories. We have already mentioned SEO and site content go hand in hand. We place the right content in the right tags that the Search Engines and Social Media engines look for to achieve higher ranks. SEO is all about content, you need the right words on your pages and placed in the right order to achieve high ranking. We know exactly what your competitors are doing and we know how to beat them in the search engine rankings. See monthly rank increases with our monthly SEO report. We provide an easy to understand explanation of the Search Engine Optimization techniques used. A critical aspect of SEO is Social Media. All techniques used are by the book. We tell you why we are charging and what we charge for. Content is king. This is a phrase you will hear from us over and over again. When it comes SEO success the biggest element of high ranking websites is content quality. We can get you the right content which is a solid foundation to support all other SEO tactics. Today, link building is achieved through developing original content that is shared across social media websites. When the public shares your content on Facebook, Twitter, LinkedIn, Google+, YouTube and other social networks search engines understand that the content must be credible and should be ranked. At Google, Bing and Yahoo, rankings are all determined by the end user experience. Search Engine’s crawl pages very much like you read a book or the newspaper and if all the websites elements are a mess, the search engine begins to penalize you removing points from your rank. At Refined IT, we keep your website content organised and correctly labelled to improve both the Web Crawler and End User Experience. At Refined IT we have SEO tools which allow us to research the most difficult to easiest ranking keywords for your industry. Based on this research we adjust your website and its content to improve your websites ranking for any specific keyword. If you already have website content written, let us research your current ranks and then make some changes to improve them! If you want to be found for a specific keyword, it must be repeated at least five times. We seek out a rough keyword density of 2.45%, for the best results.